Canine Care | Beauty. Skin Whitening. Health & Sexual Wellness. 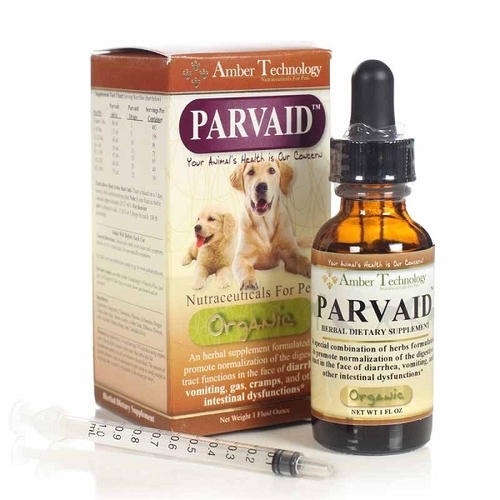 Parvaid is an all natural herbal supplement that may help pets overcome the dreaded Canine Parvo Virus. Parvaid is a product of Amber Technology and has been in production since 1997. It is sold world wide and has shown that animals who are given Parvaid along with antibiotics, immune builders and electrolytes have a very good chance of recovery. Give every 15 minutes for the first hour; reduce to every hour until the animal is able to hold food down for 6 hours. After 6 hours, and the dog is still able to hold food down, reduce the amount given to 4 times daily for 2 days. Health and prevention: give 4 times daily for 5 days, take a 2 day break, then give 2 times daily for 5 days.